Drawing the reader into the book is every author’s goal, but I don’t think any of us thought of this method. Down a rabbit hole indeed! 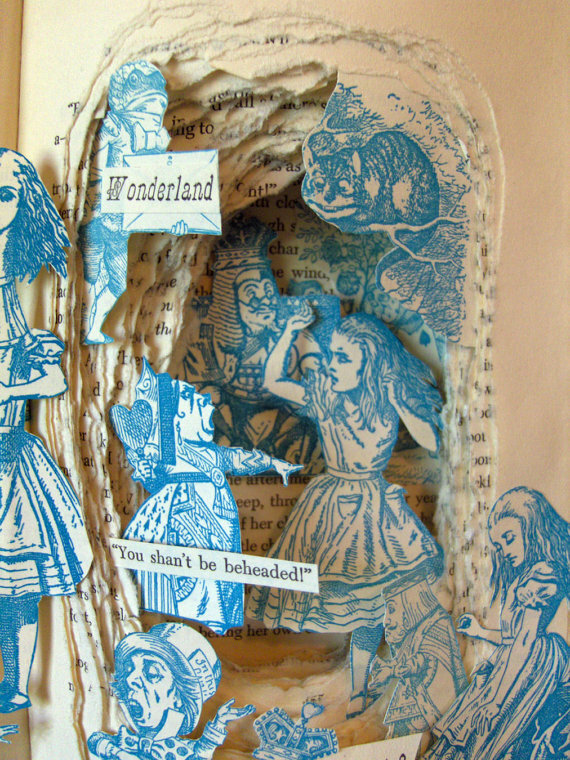 Kelly Campbell re-imagined Alice in Wonderland, and while I don’t normally approve of tearing the pages, what she’s done here is so clever I’d go rummaging on my bookshelves for another victim. Mounted in a shadow box, story becomes visual art. Check the details. Apparently this project was born when the artist found a damaged book with illustrations too lovely to throw away. She has other titles; see the rest at Etsy. 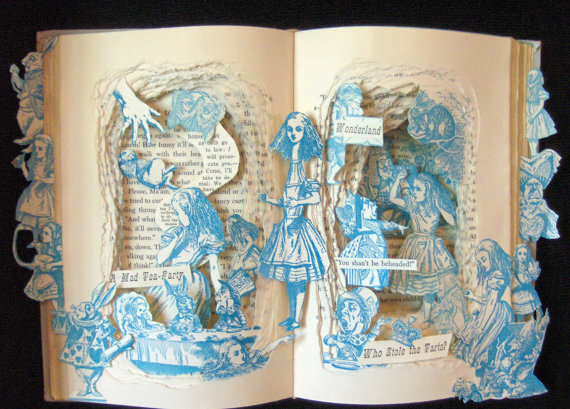 This entry was posted in Writing and tagged altered book, art. Bookmark the permalink.